SMALL STEPS—THIS MIGHT BE BORING BUT READ IT ANYWAY!!! 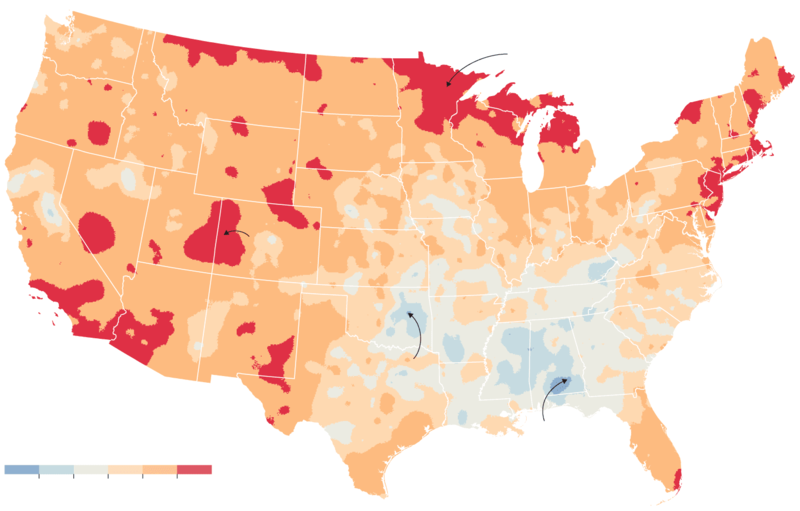 This morning, on the front page of the New York Times, was a rather dire headline and a new map of the United States and how it has been affected by Climate Change. Climate Change. Hmmmmm. It’s really a new name for those words no one wants to acknowledge—Global Warming, but global warming—like it or not—is what it is. In the last century, the earth has warmed by two degrees, and the article in the Times was telling us just what that means. Right next to it was an article saying that of the Western World, the United States was the leader in denying that this is just what is happening. This was no surprise to me since I live in Palm Beach which is absolutely filled with what would have been called, in a different time, Flat Earthers. But rather than bemoan our fate—or ignore it and Eat, Drink, and Be Merry, I decided it might be better to start collecting little things you can do to help. By yourself, you aren’t so powerful, but together, you can make an impact. This impact could be brought about by the Small Steps. Those are those little steps that if we all take, we really can make a difference. NOW REMEMBER, THESE ARE SMALL STEPS—NOT BIG ONES SUCH AS INSTALLING SOLAR PANELS IN YOUR ROOF. THESE ARE LITTLE THINGS YOU CAN DO EVERY DAY, AND THEY WILL BECOME HABITUAL. First of all—it probably takes less than 5 minutes a day extra, but recycle—because we are an office, we generate a lot of paper and we get a lot of junk mail—thus for us, recycling really is imperative. When paper is recycled, then companies like Soundview Paper Company—formerly Marcal Manufacturing—uses it to make recycled paper products which are really good. Then buy the recycled products. Usually recycled products are more expensive, but not Small Steps. I first started using them in Maine—of course, Maine, being in the vanguard of movements like recycling, would have products like this in the grocery stores, but you can even buy it in Florida which is in the rearguard of any such movements. If your store doesn’t have them, ask for them. Most grocery stores are happy to order for you—especially if you buy by the carton. Then, just to make sure you cover the bases, plant trees. Plant shrubs. Plant anything you can. If you remember your old tenth grade biology, plants gobble carbon dioxide. According to North Carolina State University, a medium size tree consumes about 48 pounds of carbon dioxide a year. That’s just a medium size tree. 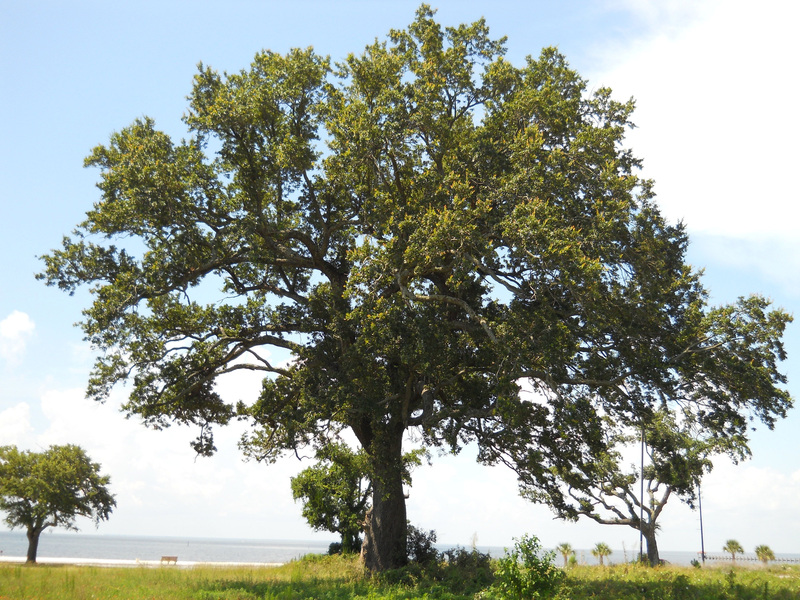 Just think how much my favourite tree, the Live Oak (Quercus virginiana) consumes. The same goes for shrubs—all kinds, hedges, border plants, etc. Go to Cotap.org and use the calculator to find out what you are saving. Turn off lights when you leave a room or when they are not needed. 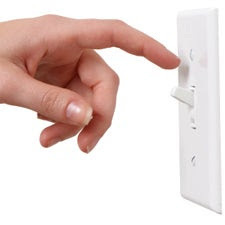 It drives me wild when I see lights left on when a switch by the door would turn them both on and off. (Such as in the individual lockers down by the warm pool at the Bath & Tennis Club which are left on ALL DAY even when no one is there.) There used to be neat little signs by the doors of the bedrooms at my club in New York that said, “Did you remember to turn off your lights?” I think they were there then to help economize, but they have disappeared. THEY NEED TO COME BACK. And you need to turn off your lights. It becomes habit. I am not even aware of doing it, and it saves tremendously—plus it saves you money. You can figure out how much by Googling, but you will have to wade through so many ads that you will need a lot more patience than I have. Turn off the water when you brush your teeth. My daughter, Elizabeth, who lives in Los Angeles, which is always in a drought, said she wouldn’t even dream of leaving the faucet on while she brushes her teeth. Water is just too precious for that! And leaving the water on consumes mightily. So start doing this. It is another little thing that just becomes habit and you don’t even think about it. Use your dishwasher—well, you probably already do, but for most people, the dishwasher cycle, even if it is not an energy efficient one—wins here. And it will be even better if you just scrape and then put the dishes into the washer. And turn off the drying cycle after about five minutes—leave the door cracked so the steam can escape. A bonus here—if you do this, you can use your dishwasher for a lot more things, even higher grade pottery and faience, since it’s the dryer that is so damaging. Wash your clothes in cold water—big, big savings here, since 90% of the energy usage in a washing machine cycle goes towards heating the water. (see Treehugger.com) Another bonus—your clothes last longer. And if you have a clothes line, you’re way ahead of the game. Another bonus for this section—your clothes will smell better, need less ironing, and last longer. Don’t leave the refrigerator open when not needed. This is hard to do in houses with small children—and snack-seeking husbands, but The Institute of Food and Agricultural Sciences at The University of Florida estimates that being careless about the refrigerator door wastes between 50 kWh and 120 kWh a year. 50 kWh can run your dishwasher 20 times and 100 kWh gives you 100 washing machine loads. Think about it! And don’t leave it open while unloading your groceries either! Recycle your plastic bags—they are washable and can be reused time and again. I am talking about things like zip lock baggies here. But should they be used at all? You can answer hard questions like these by going to “Ask Umbra” on Grist.org. Remember VOCs can be in lots of things besides paints—and all plastic bags and containers have them. They are carcinogenic, so try to wean yourself from plastic as much as you can. These are just some Small Steps—if you have any, I’d love for you to share.